One of the most recognizable brands in Canadian retail, Loblaws is a leader in the Canadian grocery market. 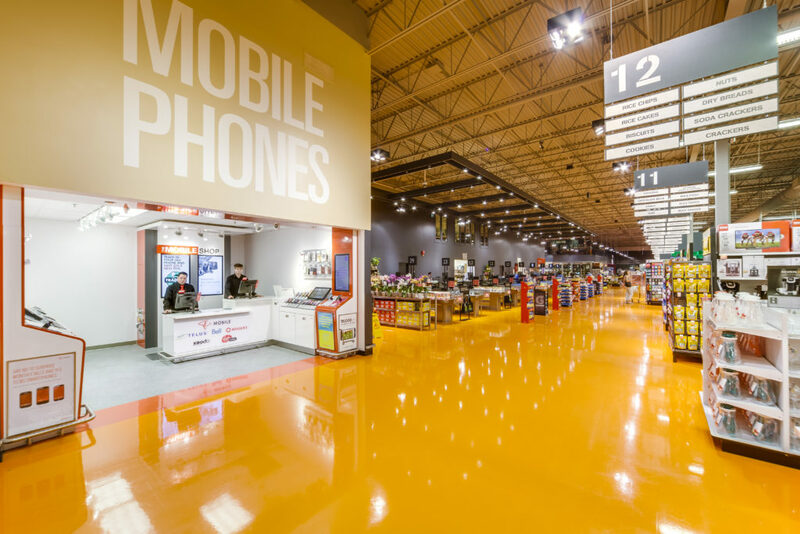 Requiring the services of a dedicated firm, with the experience, resources and technology to meet their needs, Turner Fleischer has contributed for over 20 years to the design and renovation of Loblaw’s stores across Canada. 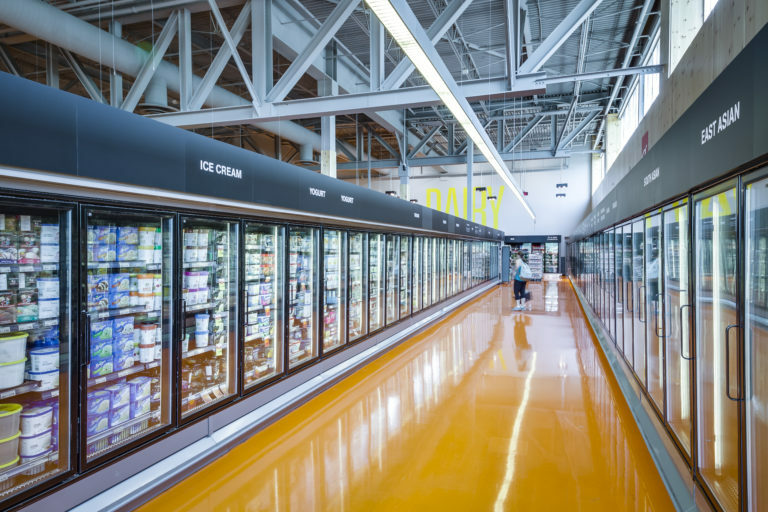 Loblaws, Montreal – Located within a landmark location, Loblaw Companies Limited required out-of-the-box ideas to integrate a food store into the historic Canadian Pacific Railways warehouse. Turner Fleischer worked closely with the development team and the supermarket operations group to achieve a successful final product. 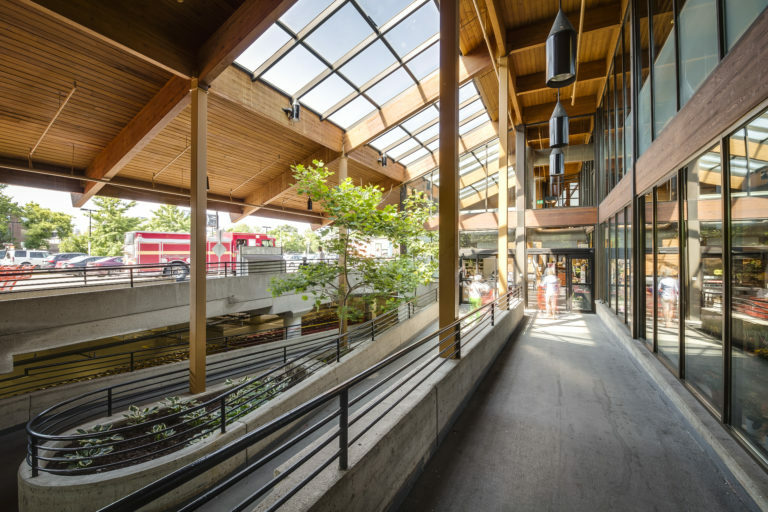 A food store has now been successfully integrated into this unique space while retaining character and history, including the integration of an existing overhead crane used for the repair of CPR locomotives dating to 1904. 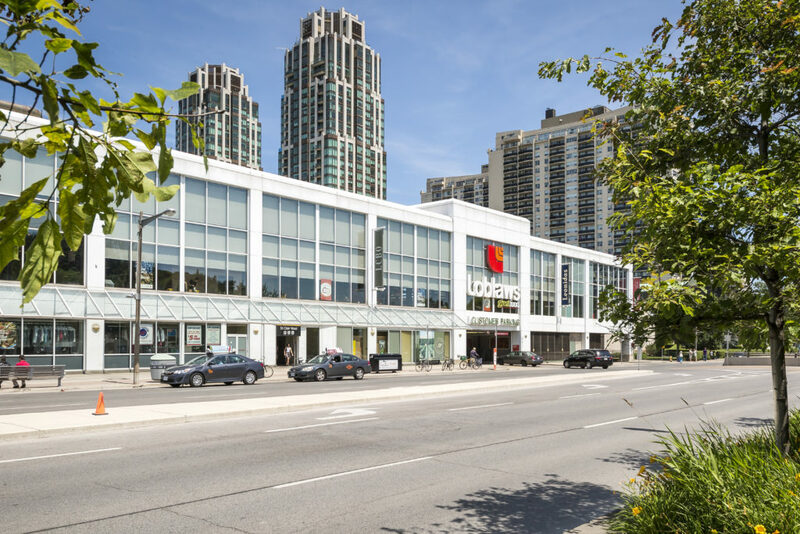 Loblaws, North York – Located at the lower level of the Empress Walk mixed-use shopping concourse on Yonge Street in North York City Centre, this 62,000 sf Loblaws food store demonstrates that below-grade retail can be an exciting success. Turner Fleischer worked with the developer’s team and the client, Loblaw Companies Limited, to coordinate the complex physical and ownership relationships among store, central mall, parking and TTC subway connections. 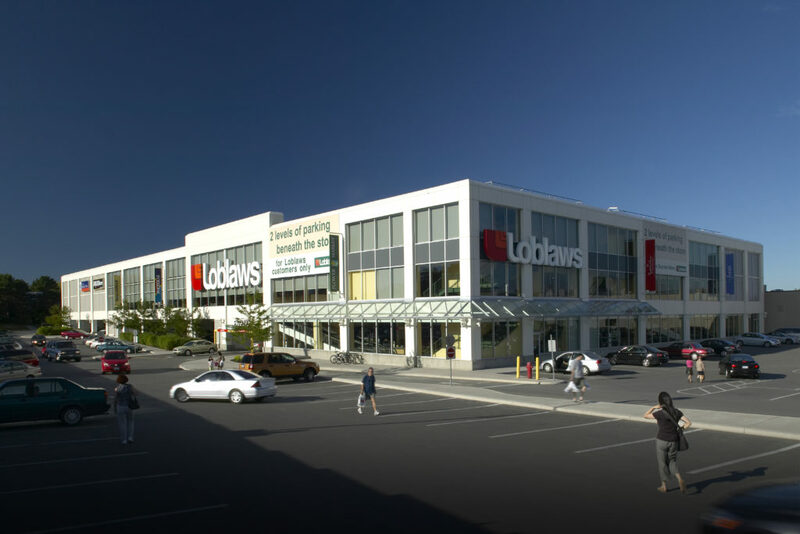 Loblaws, St. Clair – Following a lengthy planning approvals process, Loblaw Companies Limited proceeded with a 65,000 sf store and ancillary retail incorporating a two-level parking structure. The project’s location over an existing public transit hub of streetcars, buses and subway required coordination among the client, design and engineering teams, contractor, City departments and the Toronto Transit Commission. Turner Fleischer’s innovative design solution included a structure suspended from the roof to avoid bearing on the existing transit interchange. The project was awarded the 2000 Ontario Steel Design Award. 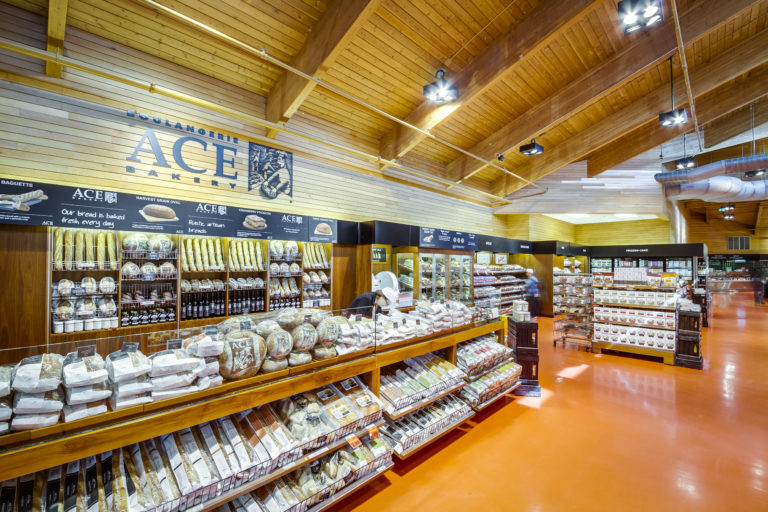 Loblaws, Yonge & Yonge – Incorporating a new brand look into a high-profile grocery store can have its challenges, including keeping this iconic store open during construction and retaining the store’s existing wood features. 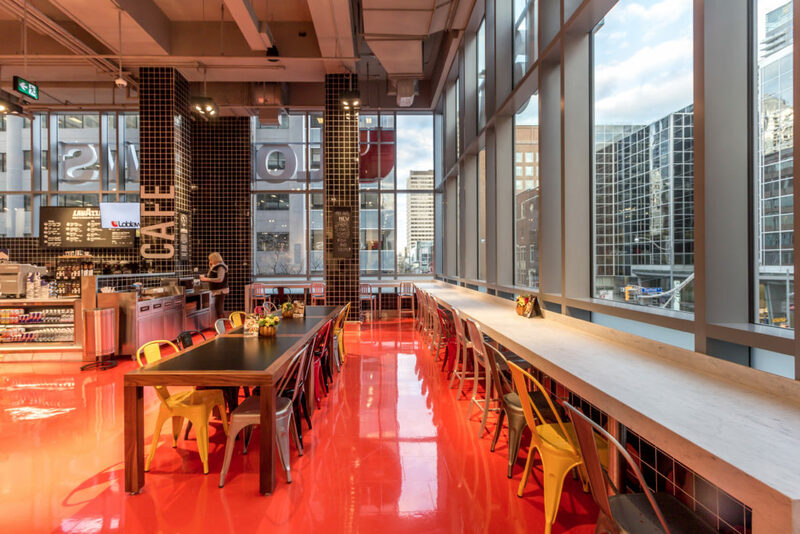 As the prime construction consultant, Turner Fleischer coordinated a phased approach to the renovation that involved working after store hours. This allowed Loblaws to remain operational and open for its customers. The integration of the contemporary “Inspire” look and clean lines with the store’s unique pitched roof and wood siding was accomplished using a 3D Revit model. This accurate model of the existing building provided the basis for design options uniting the two distinct styles. The final result is a shopping atmosphere featuring improved flow, new open layout of the Fresh Hall, and harmonious blend of wood and steel.